Special Note: EC-CHAP is excited to debut our new Theater Series! Our theater series provides a platform for new playwrights and actors to demonstrate their craft; for experimentation; and a unique environment for experienced theatrical production. An Exercise in Performance: The Memory Play is a theater-piece that asks some big questions about love, forgiveness, and the process of erasing one’s past. Using radical methods of storytelling involving text, sound, and movement, the piece draws back the curtain on a worn friendship with a hard expiration date. As a woman packs up her life to move far away, she takes one final look at the laughter, the thrill, the pain her greatest friendship gave her. What’s left when she finally drags her last box of clothes to the trunk of her car? Another person, left alone to atone for everything that went wrong. This original production was written and produced by Jeremy Geragotelis, and stars regional actors Oliver Kochol, and Kelly White. This performance will be followed by a talk-back session by the producer and cast. Join us for an special afternoon of original theater! This program is hosted by the "Eastern Connecticut Center for History, Art, and Performance" (EC-CHAP). Doors 2:30pm / Show 3:00pm. Soft drinks and snacks available. We are pleased to offer our exclusive "BYOB&F" model - Bring Your Own Beverage & Food (Wine & Beer Only - I.D. Required). You can also bring your paid ticket to Willington Pizza House (or WP Too) for eat-in or take-out the night of the show and receive 15% off your meal purchase. Ask for "The Packing House" pizza - you won't go wrong! Click here for secret recipe. Jeremy Geragotelis is a playwright, theater-artist, composer, and painter. He grew up in Northeastern Connecticut and graduated from Bennington College in Vermont. His work focuses mainly on the behavior of goodness, his motivating question being: can goodness hold its own in the spotlight, or is it too tightly tied to humility to be front-and-center? He is currently in residence at the Center at Eagle Hill in Hardwick, MA. His plays have been produced in Vermont, Massachusetts, Connecticut, Pennsylvania, and Tokyo. You can visit his website (www.jgeragotelis.wixsite.com/playwright) to view his past productions. 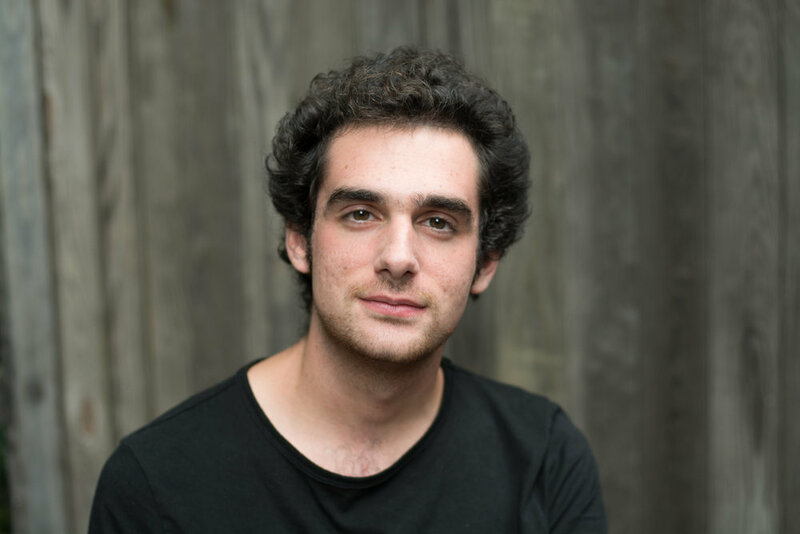 Oliver Kochol is a senior at the University of Connecticut where he will be receiving a BA in Theater Studies. Some of his favorite roles include Dr. Sanderson in Harvey, Prentiss in Peter and the Starcatcher, and Barnaby Tucker in Hello, Dolly. Kelly White is an alum of Woodstock Academy (‘12) and holds a Bachelor’s of Music from the University of Connecticut where she studied with Meredith Ziegler. She was last seen as Girl in the Warner Stage Company’s production of Once. Other credits: Molly, Peter and the Starcatcher (WSC); Gloria, “Mark my Worms” (WSC Int’l Playwrights Fest); Frosche, Adele cover, Die Fledermaus (UConn Opera); Gossip, Noye's Fludde (UConn Opera); Olympia, Pinocchio (UConn Opera Outreach); Eddie, The Bremmentown Musicians (UConn Opera Outreach). Woodstock Academy Credits: Jester, Once Upon a Mattress; Eulalie Shinn, The Music Man; Rona Peretti, The 25th Annual Putnam County Spelling Bee. Upcoming projects: Ilse, Spring Awakening (WSC).